Lynnwood, WA lies midway between Seattle and Everett. It is therefore a prime rental community. It is also at the junction of I-5 and I-405 so it provides easy access to Bellevue and the Eastside as well. It is home to the largest shopping mall north of Seattle — Alderwood Mall. Lynnwood's central location makes it a thriving, bustling community. 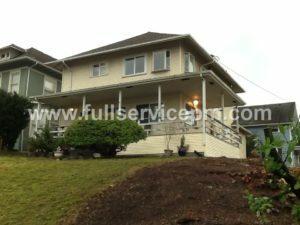 We provide a full suite of property management and property maintenance services to Owners and Tenants in most of Seattle's popular neighborhoods — including Everett, Edmonds, Mountlake Terrace, Mill Creek and more. So whether you are looking for a property manager for your Lynnwood rental, or a tenant looking to rent a property, we can help. It isn't just about knowing property management, it is also knowing the neighborhoods, market rents, and the best fit for each owner and tenant. Rental properties in Lynnwood come in all shapes and sizes — from homes to condos, townhomes, multi-plexes, and large and small apartment communities. If you need good Lynnwood property management, Full Service Property Management can take care of your needs. We can also take care of your property maintenance needs as well. From turnovers to remodels to rehabs, our staff of trained and experienced, in-house handymen are efficient and do quality work. Working efficiently in the inner city takes skill sets that we have honed to save you money yet get the job done well. Finally, email us or give us a call and we'll be happy to answer your questions and help you out.